Call for Papers: "The Threat and Allure of the Magical in Literature, Language, Philosophy, History and the Arts"
"The Threat and Allure of the Magical in Literature, Language, Philosophy, History and the Arts" 17th Annual Interdisciplinary German Studies Conference at the University of California, Berkeley March 13-15, 2009 Dating back to the 9th Century Old High German Merseburg Incantations (die Merseburger Zaubersprüche) and their influence on the fairy-tale world of the Brothers Grimm, references to the magical boil forth from a wide range of cultural forms, from Mozart’s The Magic Flute (Die Zauberflöte) in music to Werner Herzog’s Invincible in film. In silent film, modern literature and the arts, magic both heralded and haunted an artistic revolution in which the avant-garde and the occult recurrently intersected. In critical theory, ideology is often described in terms of a spell. Accordingly, this conference presents an opportunity to explore these cultural encounters with the magical and further inquire why this space of radical alterity carries such an allure and/or threat. Thus, we invite scholars from all disciplines to submit paper proposals in German or English on the questions of the magical and its role in the German-speaking world. Possible topics include but are not limited to: The magical in art, film, music, pop-culture and history The occult and the avant-garde Nazism and the occult The magical in the language of critical thought The mesmerizing, magical aspects of ideology The magical in courtly culture, Renaissance and the Early Modern Linguistic alchemy Sprachmagie The magical in philosophy (for example, the Veil of Maya in the works of Schopenhauer and Nietzsche) Magical Realism Astrology and Alchemy in literature Magic in fairy tales and folklore The weird, strange and the other The living dead/creatures of myth and magic in film and literature The language of incantations and spells. The 2nd International Conference of the European Society for the Study of Western Esotericism will be devoted to the theme "Capitals of European esotericism and transcultural dialogue." The conference will be organized by the University of Strasbourg (Equipe d’accueil d’Etudes germaniques, EA 1341/UDS) and the Maison interuniversitaire des Sciences de l’Homme-Alsace (MISHA) in partnership with the European Society for the Study of Western Esotericism (ESSWE). It will be hold between 2 and 4 July 2009 in Strasbourg, France, Maison interuniversitaire des Sciences de l’Homme-Alsace. CALL FOR PAPERS During recent decades, the role and impact of esoteric currents within western culture has elicited a growing number of scholarly works. This study brings into play a complex pattern of intellectual discourses and historical phenomena, in close relationship not merely with political and religious spheres, but also with different fields of knowledge and their processes of elaboration. In 1998, an international conference on the theme “Mystics, Mysticism and Modernity” was organized by the Marc Bloch University of Strasbourg with the aim of studying the impact of esoteric currents on the construction of modernity in society, art and literature at the start of the twentieth century. Following on this research into the connections between esotericism and culture, the present conference aims to make a lasting contribution to the writing of a “ different” cultural history, integrating a detailed analysis of the part that esoteric currents have played in the building, development and interactions of national and of cross-national identities. Esotericism and Spatiality Scholarship in the field of esotericism has hitherto often been dominated by a “monographic” bias, a tendency to privilege the study of individual authors or specific currents considered particularly relevant to a given context or period, and therefore stressing the chronological dimension of the topic. Without forsaking historical methods, the conference on “Capitals of European Esotericism and transcultural dialogue” proposes a somewhat different approach, underlining the importance of geographical and intellectual patterns, networks, interactions and exchanges, with the purpose of illustrating the relevance of the “spatial” dimension of culture. The goal of this conference is, thus, to contribute to the delineation of a landscape of Western esoteric currents by sketching a transhistorical map of their places of emergence and their main centers of diffusion. Following the inaugural conference of the ESSWE held in Tübingen in July 2007 and devoted to “The Construction of Tradition”, it has been decided to dedicate the conference in Strasbourg–itself an important “capital of European esotericism”–to the complementary themes of locality and spatiality. The concept of “Capitals of European esotericism” finds support–inter alia–in research integrating the “spatial turn” in cultural sciences and history, as well as in geocritical approaches to the study of discourse, more particularly envisaged in their spatio-cultural rooting. The birth and development of a plurality of Western esoteric currents will accordingly be considered as essentially linked to certain privileged loci, where a number of diverse traditions, influences and activities have converged and crystallized, for complex historical and cultural reasons which it will be our task to investigate. Focus-point: the city as a crucible of cultural identity for European esoteric currents The various threads of Western esotericism have evolved from and around a number of intellectual centers linked, on the one hand, to local and/or national cultures and, on the other hand, also subject to cultural transfers and exchanges involving elements belonging to foreign horizons, notably oriental ones. Urban communities have been shown to play a major part in these processes of cultural interaction. Certain capitals or cities have acted–sometimes over prolonged periods of time–as diffusion centers for specific currents or disciplines, such as alchemy or Freemasonry (for example, Venice, Avignon, and Marseilles ). Of particular relevance in this perspective is the case of “border-towns”, bearing the stamp of a dual culture or acting as intercultural foyers, which appear for these reasons to qualify even better as places of emergence of such currents (for example, Trieste, Strasburg, Prague, and Cordoba). Interest may also focus on the common trajectories of economic centers and high places of esoteric thought and activity, and on their social imbrications, as well as on the related topic of patronage which, simultaneously attracting and stabilizing persons and activities in certain spots, nonetheless stimulates the circulation of people and ideas between them (the Medici in Florence, Gonzague in Mantua, Rudolf II in Prague, etc). In the same way, major printing and publishing centers (such as P. Perna’s office in Basel, the Beringos Brothers in Lyon, Diederichs in Munich), or the intellectual exchanges between rival cultural poles (such as Venice and Florence at the turn of the sixteenth century), also deserve attention. The study of such cultural phenomena may be conducted at different levels: - On a regional or national scale, emphasizing the many links existing between local cultures, prevailing political conditions, and the historical development of esoteric currents. - On a cross-cultural and supranational scale, taking into consideration the successive phases of the process of globalization of esotericism, notably relations between East and West. Another important issue is the literary activity fostered by these “capitals of European esotericism” throughout history, whether they have specifically given rise to a body of literature directly influenced by esoteric speculations and/or practices, or whether they are themselves the object of mythical/literary representation(s) in works of fiction dealing with, or influenced by, esotericism. Contributors to the conference are invited to use various scholarly methods and approaches from different disciplines: cultural history, art history, history of ideas and of Western esotericism, investigation of the socio-economic conditions of the production of fictional and literary works, etc. Examples of themes on which contributions will be welcome: - Mapping of Western Esotericism: identification of greater or lesser urban cultural centers linked with one or more specific currents of European esotericism: “masonic capitals”, centers for the diffusion of theosophical doctrines and writings (such as Amsterdam, Berleburg, London, Dornach), etc. - Economic and cultural exchanges, esoteric currents and the city: investigation of the interactions between commercial, intellectual, artistic and publishing activities as linked to the presence, development and productions of European esotericism (Lyon, Venice, Berlin, Florence, Paris). Some attention should also be given to the role and operation of esoteric periodicals or journals per se, as well as-more generally-to the presence of esoteric themes or events in cultural media. - Capitals of European esotericism and multi-cultural dialogue: Western esotericism and the reception of oriental literature and traditions (New York, Paris, Cairo, London). - Esotericism, fictional imagination and the City: artistic and literary works which display an intimate connection between esoteric themes and the (fictional or real) depiction of a given (or imaginary) city (such as Prague in G. Meyrink’s The Golem, or London in A. Machen’s The Three Impostors). Approaches combining several of these themes and/or perspectives are of course welcome. 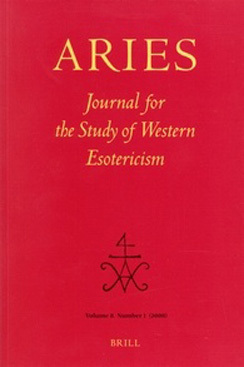 It should also be kept in mind that “Western esotericism” is by no means construed as limited to Christianity, but includes esoteric speculations and practices belonging to other religious cultures (such as Jewish Kabbalah and Neo-Sufism), whose complex (often long-standing and influential) interactions with Christian culture make them an integral part of “European esotericism”. Working languages: French, German & English. Conference Committee: Jean-Pierre Brach (Ecole pratique des Hautes-Etudes, Vème section, Paris, vice-president of ESSWE), Sylvain Briens (UDS), Aurélie Choné (UDS), Christine Maillard (UDS). Conference Chairman: Christine Maillard Proposals (title and short abstract) should be send to Christine Maillard, , with your name, academic position, and titles of major publications. Submission deadline : 30 November 2008. Call for Papers "Enlightenment and Esotericism – Ways into Modernity"
RICE UNIVERSITY. The Department of Religious Studies invites applications and nominations for a professor in RELIGIOUS THOUGHT, starting in Fall 2009, at assistant rank, preferably in one or more of these areas: RELIGION AND SECULARISM or AMERICAN/EUROPEAN PHILOSOPHY OF RELIGION or METHOD AND THEORY or HISTORY OF WESTERN ESOTERICISM. Period open to: LATE ANTIQUITY, MEDIEVAL, MODERN, or POSTMODERN. Candidates must also demonstrate significant accomplishments in a particular Western cultural or religious complex. Please send letter of application, curriculum vitae, and names of at least three references to Prof. Jeffrey J. Kripal, Chair of Search Committee, Rice University, Department of Religious Studies-MS 15, P.O. Box 1892, Houston, TX 77251-1892. Rice University is an equal employment/affirmative action employer. Women and minorities are encouraged to apply. Preference will be given to applications received before October 15. "The Great Transformation - Art and Tactical Magic" The last decade has seen an increased interest in a new understanding of belief, community, and the possibility for social transformation using the tools and languages of transcendental forces. Dealing with reactionary forces – superstition, the occult, the obscure, magic – at the same time keeps possibilities alive for change and for promoting experimental attitudes. The group exhibition 'The Great Transformation' sets out to document a new interest that contemporary art production has taken in magic and the occult. The artists in this show stress magic as the trait that can help us to understand the role of the producer or artist and that of the viewer as a participant in a ritual. Address Frankfurter Kunstverein Markt 44 60311 Frankfurt am Main phone +49 69 219 31 40 http://www.fkv.de Opening Hours Tuesday - Sunday 11a.m. - 7 p.
Call for Papers "Unbegreifliche Zeiten: Wunder im 20. Jahrhundert"
Convenors: Marco Pasi (University of Amsterdam) and Osvald Vasicek (University of Amsterdam), on behalf of the European Society for the Study of Western Esotericism (ESSWE) In recent decades the academic study of esotericism in the west (particularly France, the Netherlands, Germany and the Anglo-Saxon world) has experienced a rapid growth. In academic institutions in Paris, Amsterdam and Exeter, specific chairs have been created, while increasing attention is given to this area of research also from other fields of religious, cultural, historic, and sociological studies. Due to several difficulties – mainly linguistic, but also political until 1989 – the status of research of esotericism in Eastern Europe is for the greater part unknown. For this particular panel we are therefore looking for papers that will discuss the development of the study of western esotericism in Eastern Europe and/or single topics related to the presence of western esotericism in the same geographical area. We would especially like to encourage Eastern European students and academics to share their research, knowledge and insight. The academic study of esotericism has developed mainly in a historical perspective, but we will also consider proposals from others perspectives, such as sociology, psychology, and anthropology. Topics may likewise vary from alchemy, astrology, magic, hermetism, theosophy, spiritualism, occultism, and range from medieval sources to contemporary esoteric movements. If you are interested to propose a paper for this panel, please send an e-mail with abstract to: Osvald Vasicek, MA (o.vasicek@uva.nl). Abstracts should be limited to 200 words and should be accompanied by a short personal description of the author with academic affiliation and/ or other academic qualifications. PhD, and exceptionally MA, students are also encouraged to submit a proposal. Deadline for proposal submission is 24 April 2008. For more information on the conference and registration see: http://www.phil.muni.cz/relig/easr2008 For more information on the academic study of esotericism see: http://www.esswe.org/ and http://www.amsterdamhermetica.nl/. Convenors: Marco Pasi (University of Amsterdam) and Osvald Vasicek (University of Amsterdam), on behalf of the European Society for the Study of Western Esotericism (ESSWE) The relationship between Western esotericism and politics is certainly not virgin territory. Just to mention two examples, Auguste Viatte in his classic work on illuminism (Les sources occultes du romantisme, 1928) had discussed the political significance of esoteric ideas in the period preceding the French revolution; and James Webb explored the interplay of esotericism and politics in the 19th and 20th centuries in two important books (The Occult Underground, 1974; and The Occult Establishment, 1976). Furthermore, since the mid-1980s the French academic journal Politica Hermetica has devoted its annual issues to this complex relationship. However, there is still much that academic research can say on this topic. One of the avenues which still have to be explored is the relationship that the research field itself may have with politics in the formation and the discussion of its object. How political is the study of esotericism? Which political assumptions may lead scholars to define esotericism in a certain way instead of another? How political is the choice of defining esotericism as specifically ‘western’, as opposed to ‘non-western’ in a cultural climate impregnated by discourses on the ‘clash of civilizations’? During the 20th century esotericism has been often associated to radical politics, both left- and right-wing, revolutionary and reactionary. If esotericism has been for a long time a suspect and sensitive field of research in the academia, its relationship with politics has often created an explosive mixture. Is it possible to study this relationship while avoiding the Scylla of apology and the Charibdis of sensationalist condemnation? For this panel, we are looking for papers that will explore the politics of studying esotericism in all its possible aspects. Papers dealing with historical instances of the relationship between politics and esotericism will also be considered. Possible areas of interest may be, for instance, the use of esoterical themes in the construction of national identities in the 19th and 20th centuries or political theories of social regeneration based on esoteric thought. If you are interested to propose a paper for this panel, please send an e-mail with abstract to: Osvald Vasicek, MA (o.vasicek@uva.nl). Abstracts should be limited to 200 words and should be accompanied by a short personal description of the author with academic affiliation and/ or other academic qualifications. PhD, and exceptionally MA, students are also encouraged to submit a proposal. Deadline for proposal submission is 24 April 2008. For more information on the conference and registration see: http://www.phil.muni.cz/relig/easr2008 For more information on the academic study of esotericism see: http://www.esswe.org/ and http://www.amsterdamhermetica.nl/. The 2nd International Conference of the European Society for the Study of Western Esotericism will be devoted to the theme "Capitals of European esotericism and transcultural dialogue." The conference will be organized by the University of Strasbourg (Equipe d’accueil d’Etudes germaniques, EA 1341/UDS) and the Maison interuniversitaire des Sciences de l’Homme-Alsace (MISHA) in partnership with the European Society for the Study of Western Esotericism (ESSWE). It will be hold between 2 and 4 July 2009 in Strasbourg, France, Maison interuniversitaire des Sciences de l’Homme-Alsace. CALL FOR PAPERS During recent decades, the role and impact of esoteric currents within western culture has elicited a growing number of scholarly works. This study brings into play a complex pattern of intellectual discourses and historical phenomena, in close relationship not merely with political and religious spheres, but also with different fields of knowledge and their processes of elaboration. In 1998, an international conference on the theme “Mystics, Mysticism and Modernity” was organized by the Marc Bloch University of Strasbourg with the aim of studying the impact of esoteric currents on the construction of modernity in society, art and literature at the start of the twentieth century. Following on this research into the connections between esotericism and culture, the present conference aims to make a lasting contribution to the writing of a “ different” cultural history, integrating a detailed analysis of the part that esoteric currents have played in the building, development and interactions of national and of cross-national identities. Esotericism and Spatiality Scholarship in the field of esotericism has hitherto often been dominated by a “monographic” bias, a tendency to privilege the study of individual authors or specific currents considered particularly relevant to a given context or period, and therefore stressing the chronological dimension of the topic. Without forsaking historical methods, the conference on “Capitals of European Esotericism and transcultural dialogue” proposes a somewhat different approach, underlining the importance of geographical and intellectual patterns, networks, interactions and exchanges, with the purpose of illustrating the relevance of the “spatial” dimension of culture. The goal of this conference is, thus, to contribute to the delineation of a landscape of Western esoteric currents by sketching a transhistorical map of their places of emergence and their main centers of diffusion. Following the inaugural conference of the ESSWE held in Tübingen in July 2007 and devoted to “The Construction of Tradition”, it has been decided to dedicate the conference in Strasbourg–itself an important “capital of European esotericism”–to the complementary themes of locality and spatiality. The concept of “Capitals of European esotericism” finds support–inter alia–in research integrating the “spatial turn” in cultural sciences and history, as well as in geocritical approaches to the study of discourse, more particularly envisaged in their spatio-cultural rooting. The birth and development of a plurality of Western esoteric currents will accordingly be considered as essentially linked to certain privileged loci, where a number of diverse traditions, influences and activities have converged and crystallized, for complex historical and cultural reasons which it will be our task to investigate. Focus-point: the city as a crucible of cultural identity for European esoteric currents The various threads of Western esotericism have evolved from and around a number of intellectual centers linked, on the one hand, to local and/or national cultures and, on the other hand, also subject to cultural transfers and exchanges involving elements belonging to foreign horizons, notably oriental ones. Urban communities have been shown to play a major part in these processes of cultural interaction. Certain capitals or cities have acted–sometimes over prolonged periods of time–as diffusion centers for specific currents or disciplines, such as alchemy or Freemasonry (for example, Venice, Avignon, and Marseilles ). Of particular relevance in this perspective is the case of “border-towns”, bearing the stamp of a dual culture or acting as intercultural foyers, which appear for these reasons to qualify even better as places of emergence of such currents (for example, Trieste, Strasburg, Prague, and Cordoba). Interest may also focus on the common trajectories of economic centers and high places of esoteric thought and activity, and on their social imbrications, as well as on the related topic of patronage which, simultaneously attracting and stabilizing persons and activities in certain spots, nonetheless stimulates the circulation of people and ideas between them (the Medici in Florence, Gonzague in Mantua, Rudolf II in Prague, etc). In the same way, major printing and publishing centers (such as P. Perna’s office in Basel, the Beringos Brothers in Lyon, Diederichs in Munich), or the intellectual exchanges between rival cultural poles (such as Venice and Florence at the turn of the sixteenth century), also deserve attention. The study of such cultural phenomena may be conducted at different levels: - On a regional or national scale, emphasizing the many links existing between local cultures, prevailing political conditions, and the historical development of esoteric currents. - On a cross-cultural and supranational scale, taking into consideration the successive phases of the process of globalization of esotericism, notably relations between East and West. Another important issue is the literary activity fostered by these “capitals of European esotericism” throughout history, whether they have specifically given rise to a body of literature directly influenced by esoteric speculations and/or practices, or whether they are themselves the object of mythical/literary representation(s) in works of fiction dealing with, or influenced by, esotericism. Contributors to the conference are invited to use various scholarly methods and approaches from different disciplines: cultural history, art history, history of ideas and of Western esotericism, investigation of the socio-economic conditions of the production of fictional and literary works, etc. 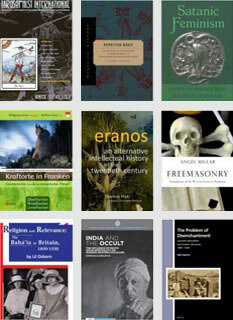 Examples of themes on which contributions will be welcome: - Mapping of Western Esotericism: identification of greater or lesser urban cultural centers linked with one or more specific currents of European esotericism: “masonic capitals”, centers for the diffusion of theosophical doctrines and writings (such as Amsterdam, Berleburg, London, Dornach), etc. - Economic and cultural exchanges, esoteric currents and the city: investigation of the interactions between commercial, intellectual, artistic and publishing activities as linked to the presence, development and productions of European esotericism (Lyon, Venice, Berlin, Florence, Paris). Some attention should also be given to the role and operation of esoteric periodicals or journals per se, as well as-more generally-to the presence of esoteric themes or events in cultural media. - Capitals of European esotericism and multi-cultural dialogue: Western esotericism and the reception of oriental literature and traditions (New York, Paris, Cairo, London). - Esotericism, fictional imagination and the City: artistic and literary works which display an intimate connection between esoteric themes and the (fictional or real) depiction of a given (or imaginary) city (such as Prague in G. Meyrink’s The Golem, or London in A. Machen’s The Three Impostors). Approaches combining several of these themes and/or perspectives are of course welcome. It should also be kept in mind that “Western esotericism” is by no means construed as limited to Christianity, but includes esoteric speculations and practices belonging to other religious cultures (such as Jewish Kabbalah and Neo-Sufism), whose complex (often long-standing and influential) interactions with Christian culture make them an integral part of “European esotericism”. Working languages: French, German & English. Conference Committee: Jean-Pierre Brach (Ecole pratique des Hautes-Etudes, Vème section, Paris, vice-president of ESSWE), Sylvain Briens (UDS), Aurélie Choné (UDS), Christine Maillard (UDS). Conference Chairman: Christine Maillard Proposals (title and short abstract) should be send to Christine Maillard, christine.maillard@misha.fr, with your name, academic position, and titles of major publications. Submission deadline : June 15th, 2008.